HUNTING DOGS FOR SALE - Gun dogs, Bird Dogs, Field Dogs and Sporting Dogs. Gundog Central is a centralized location for finding your next Gun Dog, Bird Dog or Field Dog. We've tried to make it as easy as possible for you to browse the many different hunting dogs for sale. We cater to the upland bird hunter and wetland waterfowl enthusiast, as well as people who compete in field trial events. Whether you’re looking for pointer breeds like the English Pointers, English Setters or French Brittany's, Retrievers like the Labradors Retrievers, Flushing breeds like the English Springer Spaniel, or Versatile breeds like the German Shorthaired Pointers and German Wirehaired Pointers you'll find them here, along with many other hunting dog breeds. 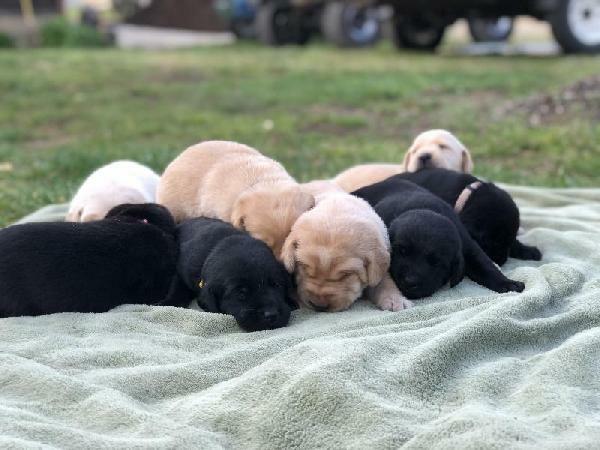 You'll find gun dogs in our classified section that are for sale by individuals and professionals alike. Only ads dealing with working gun dogs, bird dogs or field dogs should be posted here. This site is made possible by the following offical partner. We use and recommend their products. Gundog Central turns 13 years old this month!! 13!! That seems like such an unlucky number, but last year was our biggest and best year ever and I’m looking forward to another year. Of course this site wouldn’t be possible without the people that use it everyday. To show my appreciation, I’ll be sending a small package to anyone that signed up for a Gundog Central Professional Kennel account this year ( 2019 ), prior to today. 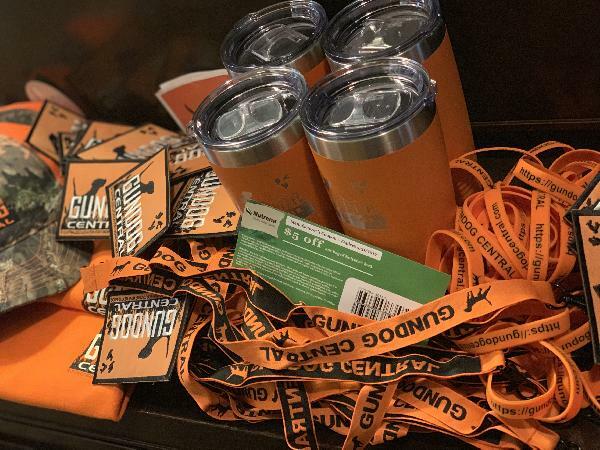 The package contains a Gundog Central patch, a Gundog Central lanyard, a Gundog Central wristband and a $5 coupon off a bag of Loyall brand dog food, some of you may also receive a Gundog Central vinyl decal. Unfortunately there isn’t a way for me to send something to everyone, but I will be giving away a few 20 oz. Gundog Central Tumblers, Gundog Central T-shirts and Ball caps to a few randomly selected people who made a purchase from Gundog Central during the past year. Beware of anyone trying to contacting you trough text messages from (443) 543-6672, they are just trying to run an overpayment scam on you. These request can come from email, text messages or phone calls. Warning sign you can look out for: Offering payment for more then you are asking for your dog. If they contact you and say that they have arranged their on shipment method. It looks like they just copied and pasted the title of your ad into their message. There wording doesn't use proper English. Asking you about facts that are clearly stated in your ad. Asking you to give money to the person picking up your dog or asking for you to send money back. All correspondence sent through Gundog Central comes with an overpayment warning at the bottom of the message. If you ever receive request like these please forward them to me.